With so many concerts taking place up and down the coastline it looks like we’ll have many opportunities to dance our way into summer this year! The first annual Penguin Music Festival on Castle Street in Wilmington, NC, will have 2 stages of great music with 6 bands: Railroad Earth, Todd Snider, Acoustic Syndicate, Randall Bramblett Band, L Shape Lot, and Lipbone Redding. Bring your entire family — this is for everyone! Beach chairs and blankets are welcomed. A portion of the proceeds will be going to benefit Step Up For Soldiers. Advance Tickets $35, Day of Show $40, Kids 10 & under get in free. Tickets are on sale at Gravity Records, Momentum Surf Shop and 983thepenguin.com. The Sunset Beach Free Concert Series continues on June 5, 2013 at the Village Park at Seaside Village with Parrot Party performing. Concerts are held 6:30-8:30 p.m. every Wednesday evening. The public is invited to this free event. The Ocean Isle Beach Concert Series continues on June 7, 2013 with Blackwater Rhythm and Blues performing from 6:30-8 p.m. on the stage in the parking lot at Museum of Coastal Carolinas on Ocean Isle Beach, NC. 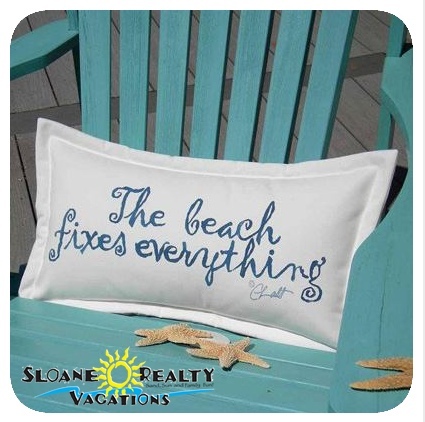 If you’re making plans to visit the area and need accommodations, consider staying in a Sunset Beach NC rental from Sloane Realty. We have a nice assortment of vacation rentals that are sure to meet the needs of any size family no matter how long you’re planning to stay. Please call us at 866-931-5201 if you’d like more information about any Sunset Beach NC rental on our website.